This article was posted on 9th September 2015. For a little while the inky blues have sat in the background to the ever favoured blush pink, copper/rose gold and copper tones which have dominated our interiors for the past year or so. But now, the rich blue tones are coming to the fore to have their moment in our interiors spotlight. From dark indigo and navy to denim blues - these cool, deep shades are the perfect way to add a grown-up edge to the pinky hues in our homes. 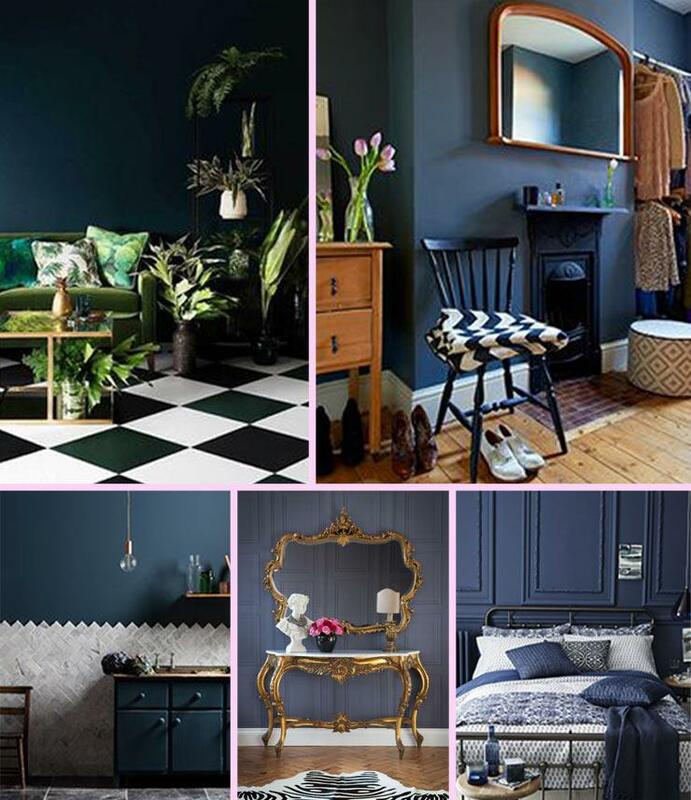 Dare we say it, but it feels as though the inky blues we're seeing rising to the top, could be a a slightly more colourful, design savvy alternative and a shade braver than the fail-safe (and still our fave really!) grey. This latest colour obsession is the perfect tone for your bedroom and living space, as according to colour psychology blue is the colour of the mind, instilling a sense of calm and serenity; deeper blues are attributed with aiding clear thoughts and, who are we to argue - apparently, it is the world's favourite colour! Historically a natural dye extracted from plants and one of the oldest known dyes used in textiles and printing, these colours are all around us in nature. Making quite such a bold statement and commitment to colour isn't for everyone, in which case add hints of the trend with a throw, cushions, rugs, small stools or a vase. The richness of the blues really comes alive when coupled with whites, greys and wood tones. Whether your style is contemporary, bohemian, classic, French or eclectic, there's a blue for you! ~ Don't pair with brilliant white which would create too much contrast or creamy tones which would look very yellow. ~ Add natural woods to your scheme, either on the floors or in furniture - this will give a warmth to the design. ~ Blush pinks and metallics are made for inky blue rooms - add these together and you're onto a winner! Westonbirt Blue Velvet Cushion, from £35.